So about that NES Joy-Con duo. As is the case with anything in a marketing video: it looked amazing at first. Hey, 8bitdo already makes them but these are shiny and official, and approved by Nintendo. Then the provisos came. It's $60 for a pair. Oh, and you need to subscribe to Nintendo's online service to even have the right to buy them. But there's more. According to Nintendo's AU website, they can only be used for the select NES games that are coming to the subscription service. It's right there on the site: "Please note: Nintendo Entertainment System Controllers can only be used while detached from the Nintendo Switch system, and only to play NES – Nintendo Switch Online games. 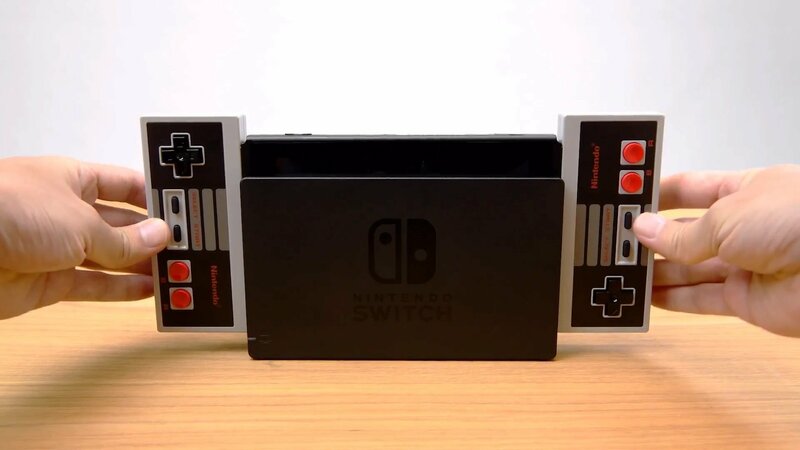 Nintendo Entertainment System Controllers can be charged by attaching to the Nintendo Switch system." They know most people won't buy it cause of it's limit, probably why they put it behind the needing the subscription for you to be able to buy them. Meh, probably would be awkward to use them as controllers attached to it in handheld mode anyways.